Since we were so hyper-focused on the attributes of polygons, we decided to go on a Geo-hunt and then graph it. 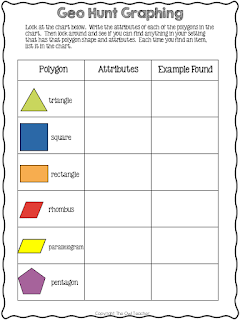 I reviewed with my students the attributes of each of the polygons we were discussing - triangles, parallelograms, squares, rectangles, rhombus, and a pentagon. Then after recording their characteristics, I sent them looking around the classroom to see if they could find any items with those characteristics and shapes. 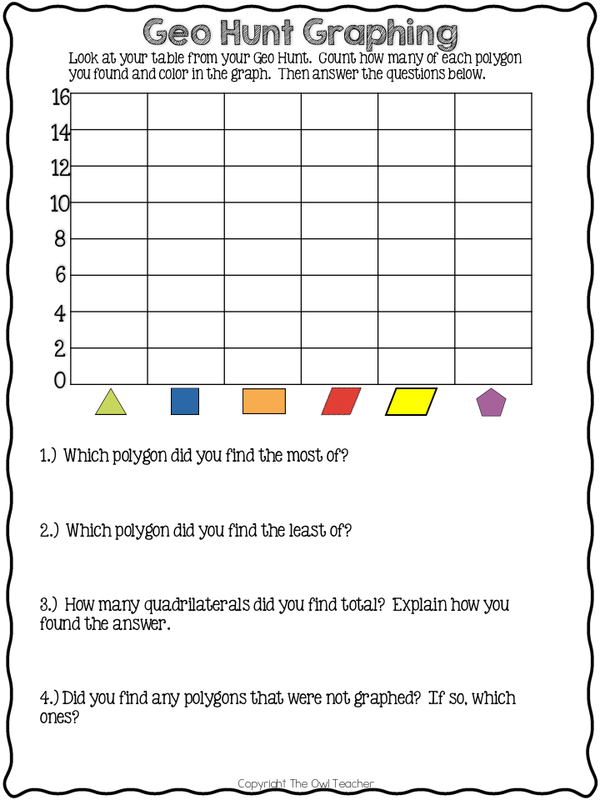 It was definitely easy for some polygons and a challenge for others. After our scavenger hunt of sorts, we then graphed the number of each of the polygons we found and talked about our graphs. Then we created one large class graph. It was a fun way to review the attributes and get the students up and moving! There are also 9 other ideas of how we reviewed geometric shapes over at my blog along with this freebie for you to download free. 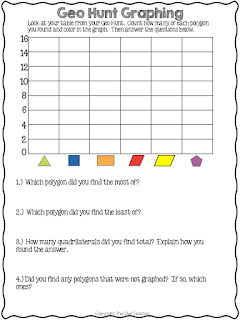 Just check out my 10 Ways to Review Geometric Attributes Post.